It is annoying that computer stuck on windows 7 system restore when use one key recovery. There are collecting some common situations to help you solve the problem that computer stuck on system restore. Computer 10 crashes frequently, therefore, some users choose to restore to Windows 7 system again. Whatever reasons, some users always encounter problems, and that computer stuck in Windows 7 system restore is one of them. Display “please wait while your windows files and settings are being restored System restore is restoring the registry”. Computer is power off during restoring system, and then system restore is stuck after rebooting. There are some wrong files in system image, or system image is not integrated. It will cause that computer stuck in system restore. If system restore always stuck in a specific step, there is nothing to do but forced restart. If computer can be work, and just use command line “chksdk C: /f” to fix C drive. If computer can’t reboot, you can try method 2. As the below picture shown, computer will prompt error message and solution after rebooting. 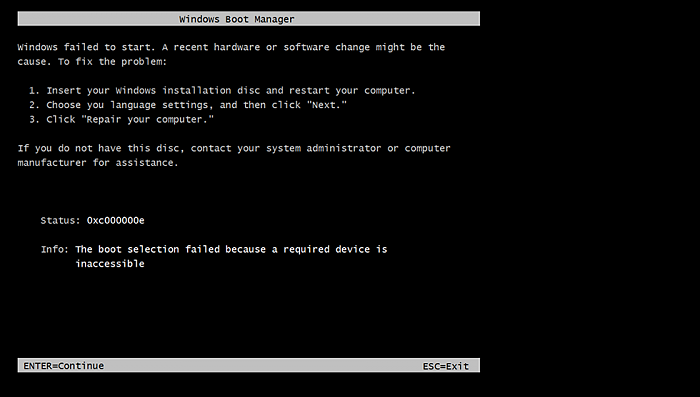 There are many problems to use built-in one key recovery or recovery disc to restore system. 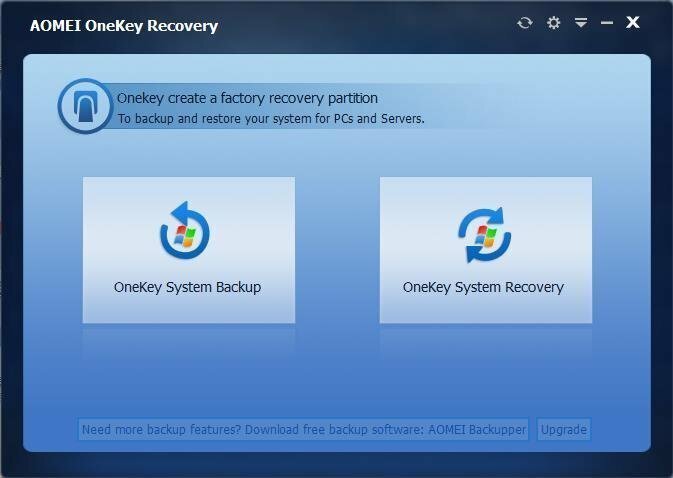 For safer and better to secure your system, AOMEI OneKey Recovery integrates backup and restore functions, and it can be installed any workstations shipped with Windows System. 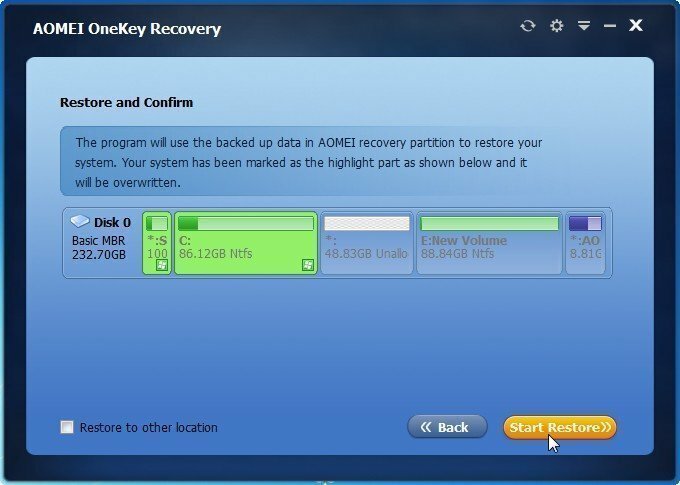 Once you backed up with AOMEI OneKey Recovery, it will generate an emergency key to help you restore. As the picture shown, the shortcut prompt will appear when you start up computer. Step 1.Start up computer and press A or F11 to enter recovery environment. The interface is like the picture below. Just click in OneKey System Recovery. Step 2. Choose the restore methods. 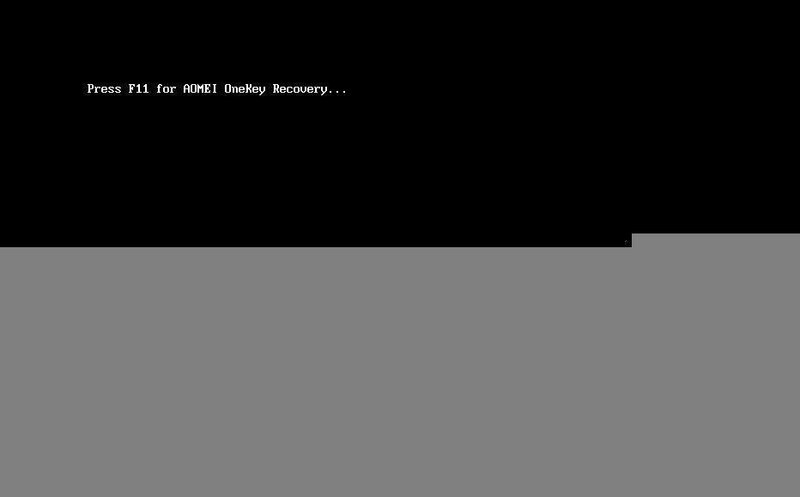 AOMEI OneKey Recovery provide two methods to let you restore system. 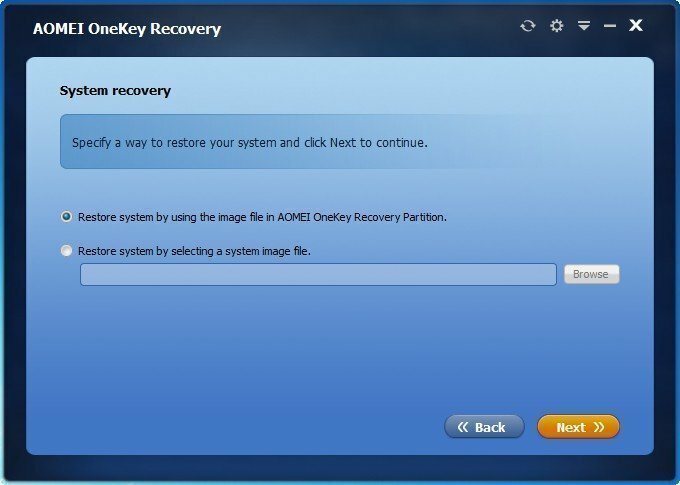 Restore system by using the image file in AOMEI OneKey Recovery. Restore system by selecting a system image file. 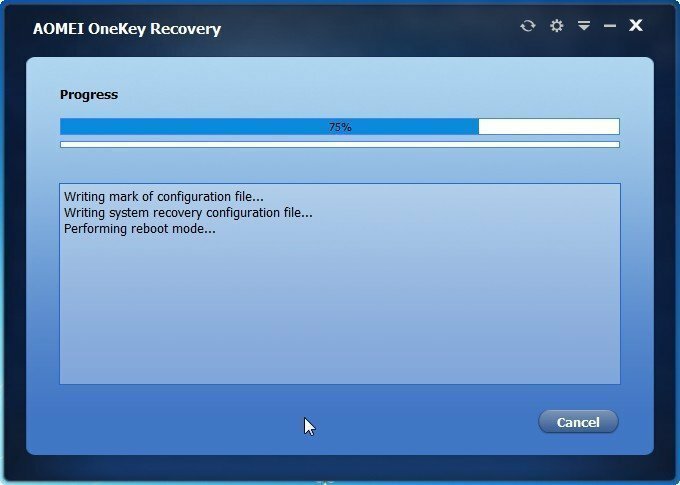 Usually, onekey recovery will create a system recovery partition in system disk, therefore, you can choose the first option. Step 3. Choose the destination to restore system. By default, the destination will be original system partition, but, if you want to restore to other location, please choose the left corner-”Restore to other location”-to change choice. After choosing, please click in “ Start Restore”. Step 4. Now, system restore is processing, you can do other things to wait for it finishing. As you see, the process of restoring system is very simple. You don’t need to worry about that computer is stuck in system restore. It will save much time and frustrates for you.